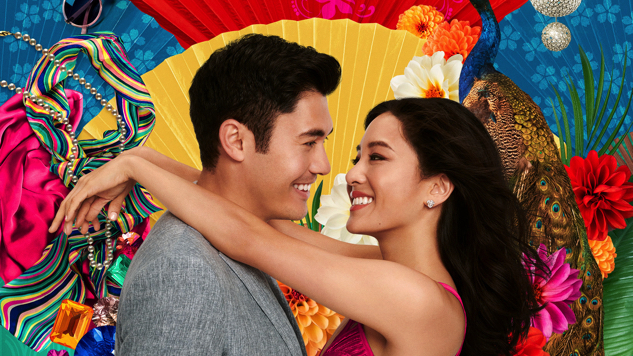 Crazy Rich Asians is already the highest-grossing romantic comedy of the past decade in the U.S., but after weeks of uncertainty, it’s finally landed a slot in Asia’s most lucrative market. The Warner Bros. release will premiere in China on Nov. 30, per THR. The news comes as a surprise after Warner Bros. had failed to hear back from China’s Film Bureau regarding a Chinese release over the summer. Observers had expected the bureau, which is currently amidst restructuring into the direct control of the Community Party Propaganda Department, to reject the movie on the grounds of its ostentatious depictions of wealth by ethnically Chinese Singaporeans. Still, Chinese regulators announced the fate of its release Monday, along with a number of high-profile Hollywood studio releases. Some speculators suggest that the surprise approval was spurred by a surprisingly sluggish year in the Chinese market, which saw a slip of local titles over the National Day holiday at the start of October, one of the country’s biggest moviegoing seasons. Chinese film regulators hold a great deal of power within and beyond China, the world’s second-largest market, and they can reject foreign titles for any number of reasons. Following a disappointing U.S. box-office run, the 2016 Ghostbusters hit another skid after it was rejected in China due to an obscure censorship clause that bans depictions of ghosts and superstition, and Suicide Squad, also from Warner Bros., didn’t get a release in the country either, ostensibly due to its dark tone. Earlier this year, Disney’s Christopher Robin also failed to land a coveted spot on the country’s release slate, reportedly because of memes that compared President Xi Jinping to Winnie the Pooh. Unlike those releases, Crazy Rich Asians is now able to continue its record-breaking run in China. However one feels about the first Hollywood release with a majority-Asian cast in over 25 years being so consumed by its displays of wealth, or the growing importance of Chinese regulators in the global market and in deciding what gets made in Hollywood, the rich keep getting richer.